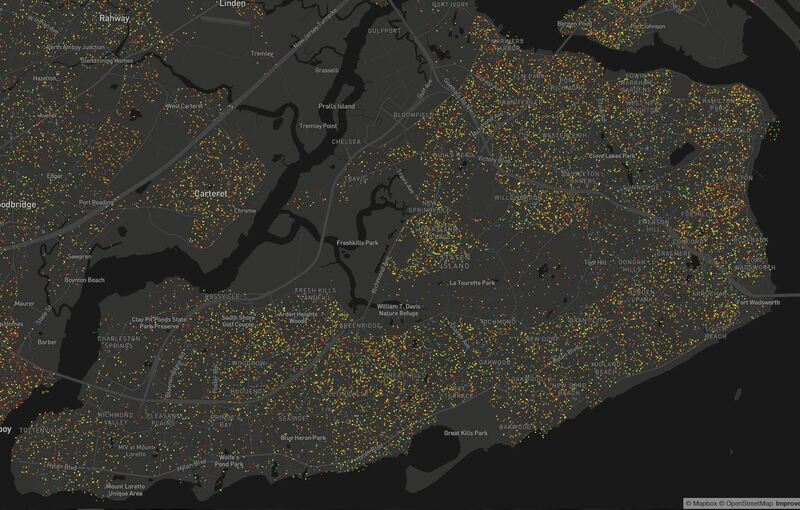 Home»Life This Way on Bay»Interactive Map: How Do Staten Islanders’ Educations Stack Up Against The Rest of NYC? Where can you find the highest density of graduate students in New York City? Well, not on Staten Island… The map above is just a small sample of a project by Kyle Walker, called Educational Attainment in America, which aims to show the distribution of educated people in United States neighborhoods. Each dot represents between 25-500 people over the age of 25, and each is color-coded based on how far those people have gone in school. Blue dots are graduate degrees, green are bachelor’s, yellow are some college, orange are high school, and red is everything short of high school. It’s clear that manhattan has the most graduate students, while Staten Island is home to a lot of people who haven’t finished college. That isn’t to say that people here are dumber. It’s fairly well-known that Staten Islanders have an inclination towards civil service jobs that don’t necessarily require a bachelor’s bachelors degree. 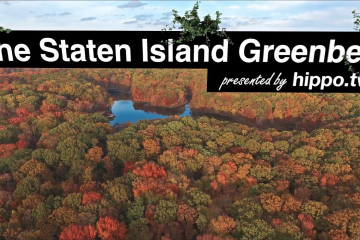 Nearly a quarter of Staten Island’s population serve as police, firefighters, sanitation workers, etc.